Fresh shrimp sautéed in a lemon garlic butter wine sauce, served over cauliflower rice! Looking for a quick and delicious meal? 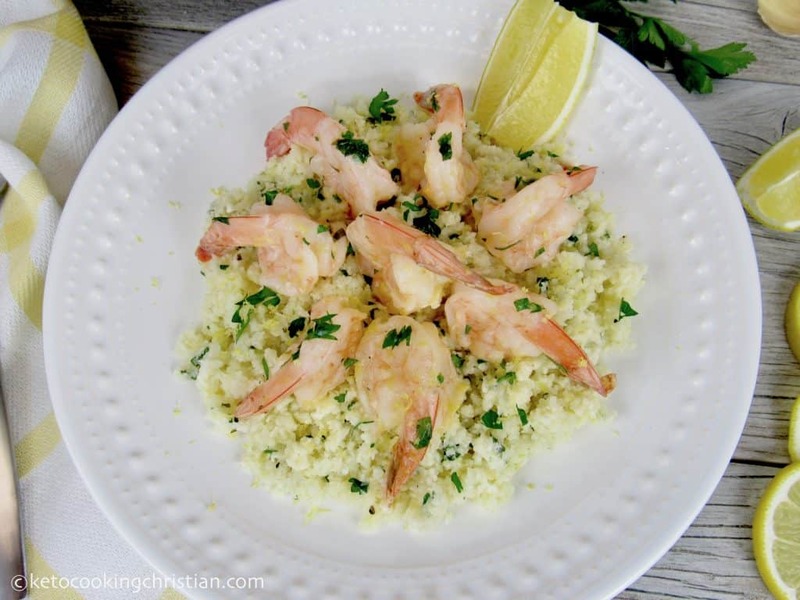 This shrimp scampi is loaded with flavor and is so healthy! 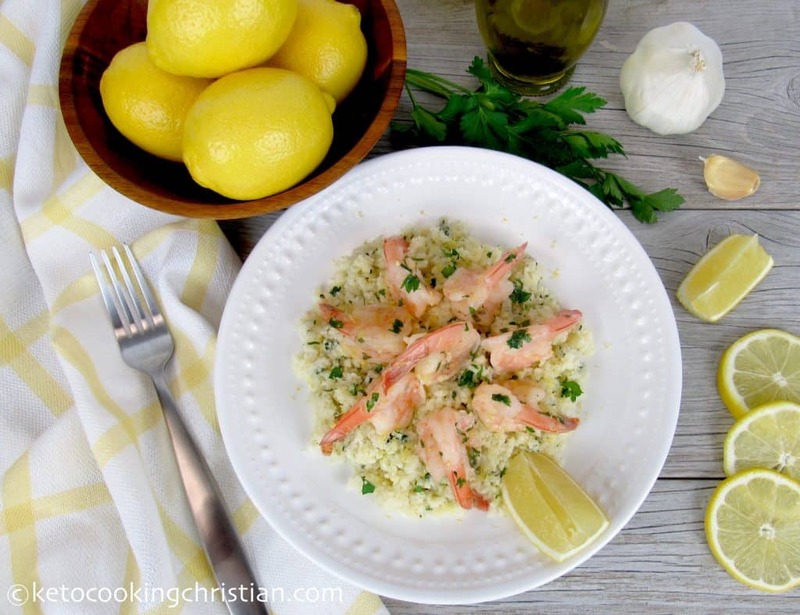 Lemony garlic shrimp is lightly sautéed in grass-fed butter and garlic and served on top a bed of cauliflower rice. 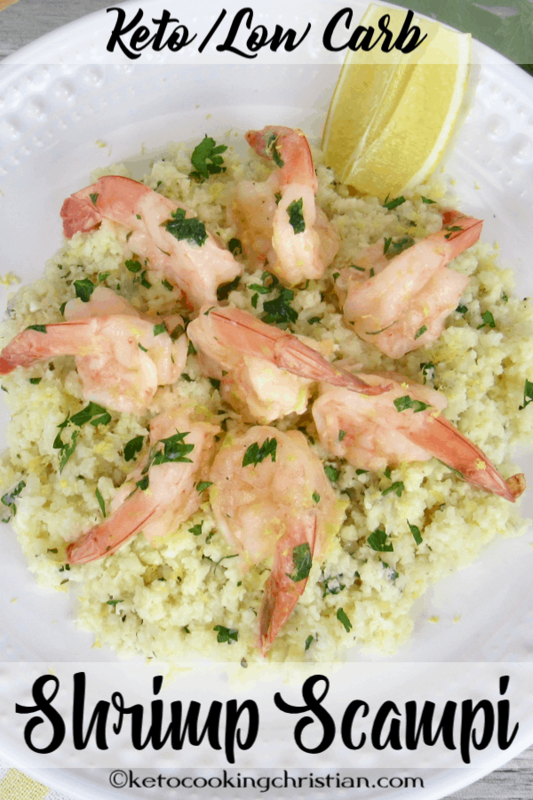 I cook the cauliflower rice in the lemon garlic shrimp juices, which gives it incredible flavor! 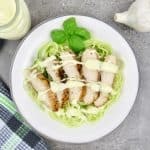 Give this recipe a try and you might find yourself making it often! Cut each shrimp partially down the middle, careful not to cut all the way through, leaving the tails on. 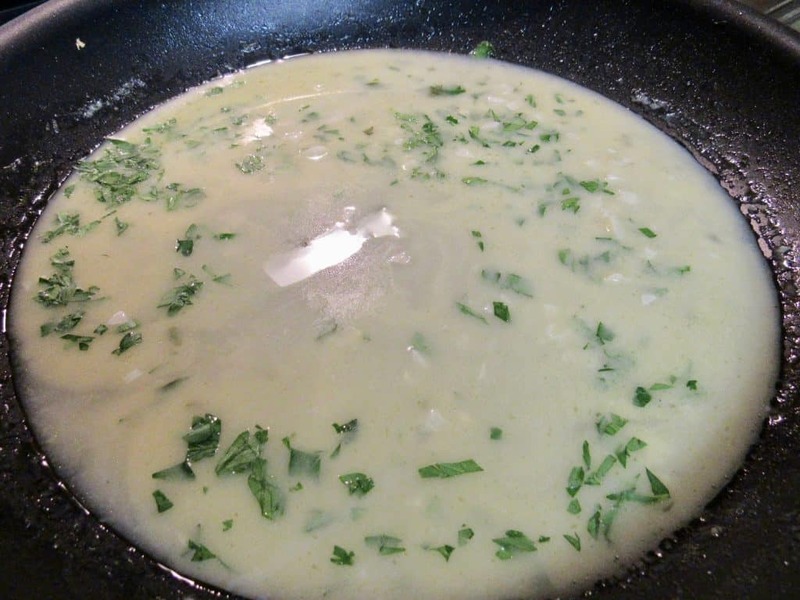 In a large skillet over medium heat, add in the butter and olive oil. 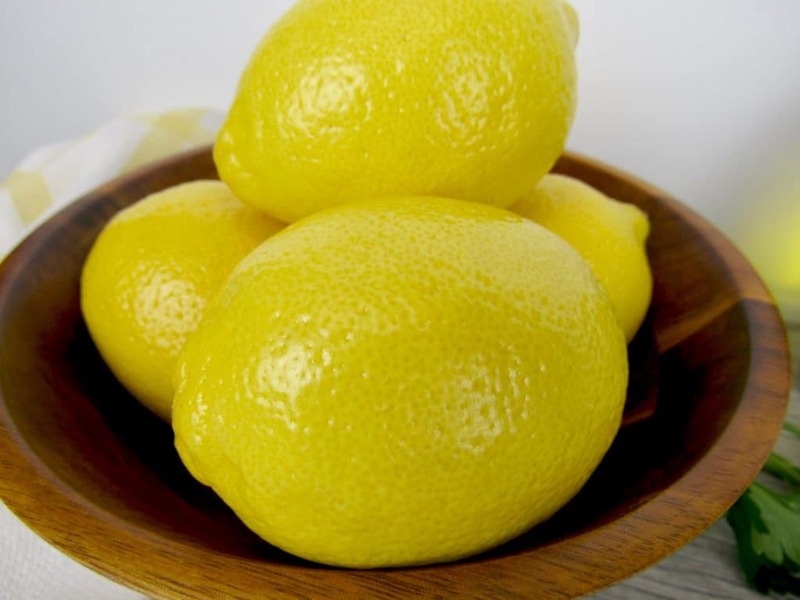 Once the butter is melted, add in the garlic and lemon zest. 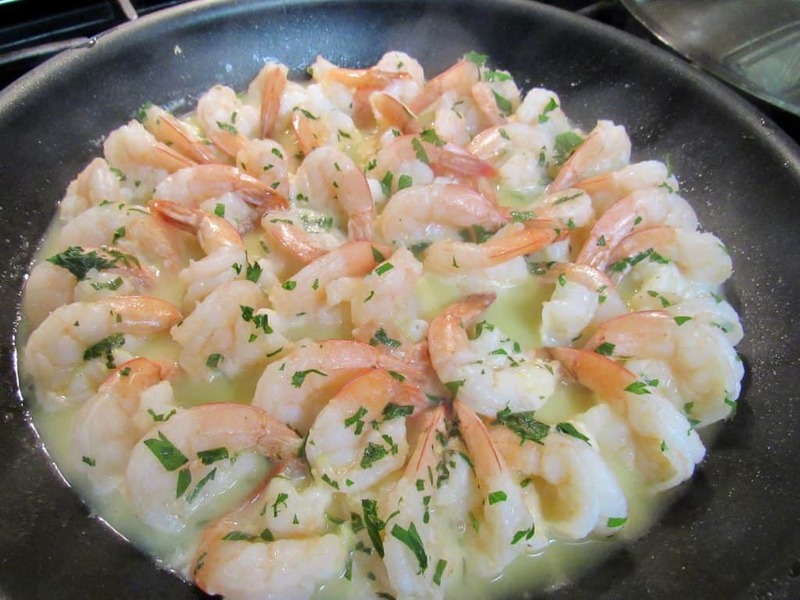 Add in the shrimp on top, then sprinkle half of the parsley, pour in the white wine and lemon juice. Cover and sauté the shrimp for just a few minutes, until they turn pink. Once cooked, remove the shrimp, leaving behind all the juices. Keep the shrimp warm while you cook the cauliflower rice. 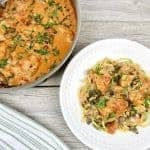 Add in the cauliflower rice, remaining parsley, salt and pepper and cook (stirring often) for another 5-7 minutes, or until it reaches your desired texture. I like mine a little on the al dente side. 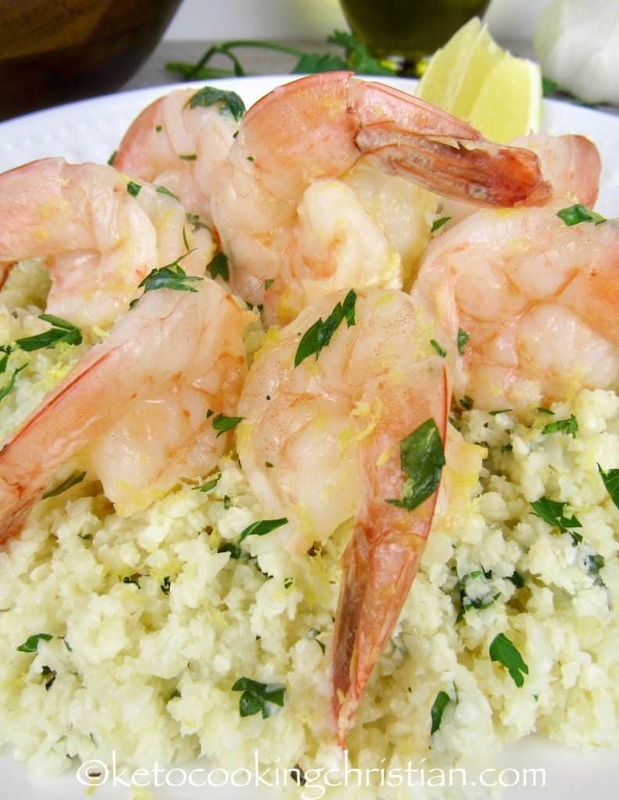 Serve the shrimp over a bed of cauliflower rice, with a squeeze of lemon and a garnish of fresh parsley. 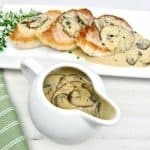 Looking for a quick and delicious meal? 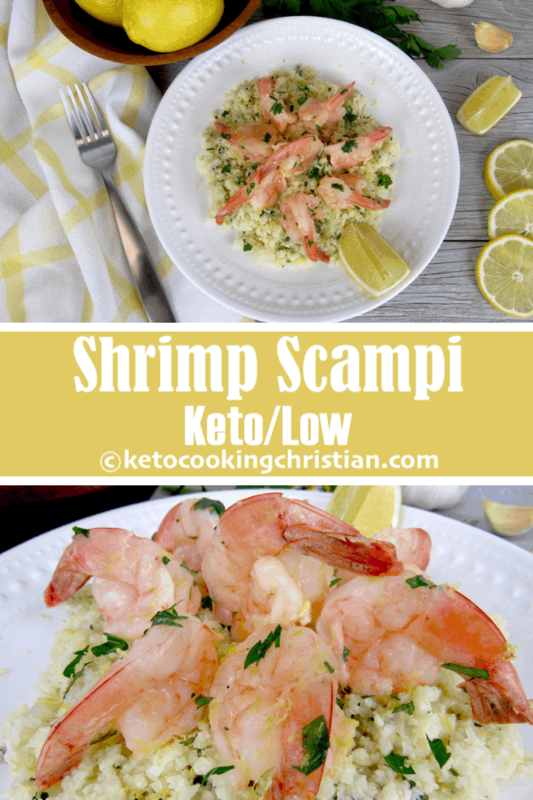 This shrimp scampi is loaded with flavor and is so healthy! 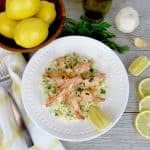 Lemony garlic shrimp is lightly sautéed in grass-fed butter and garlic and served on top a bed of cauliflower rice. I cook the cauliflower rice in the lemon garlic shrimp juices, which gives it incredible flavor! 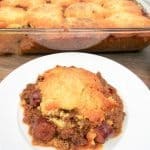 Give this recipe a try and you might find yourself making it often! Cut each shrimp partially down the middle, careful not to cut all the way through, leaving the tails on. 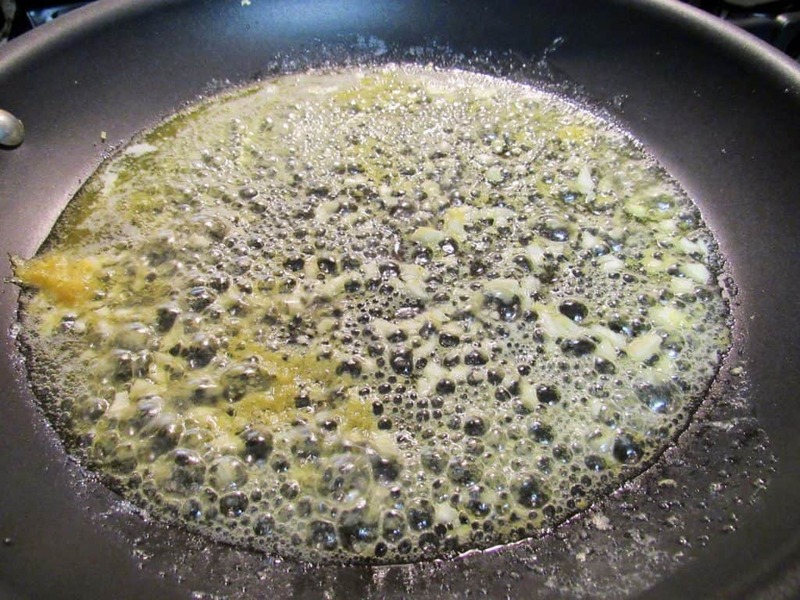 In a large skillet over medium heat, add in the butter and olive oil. Once the butter is melted, add in the garlic and lemon zest. 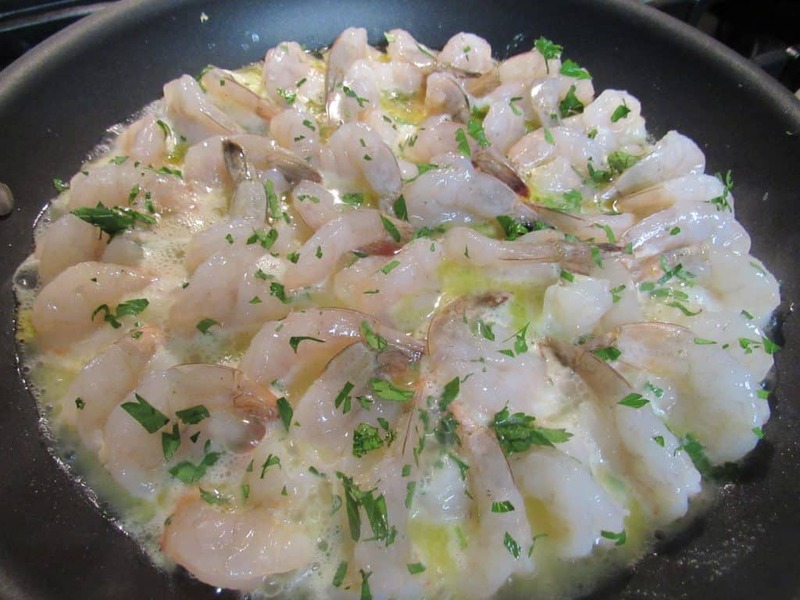 Add in the shrimp on top, then sprinkle half of the parsley, pour in the white wine and lemon juice. Cover and sauté the shrimp for just a few minutes, until they turn pink. Once cooked, remove the shrimp, leaving behind all the juices. Keep the shrimp warm while you cook the cauliflower rice. 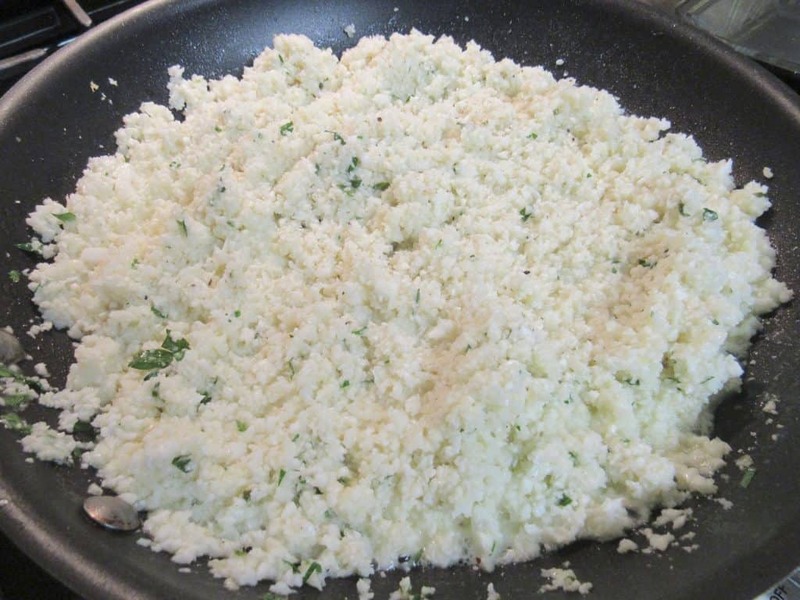 Add in the cauliflower rice, remaining parsley, salt and pepper and cook (stirring often) for another 5-7 minutes, or until it reaches your desired texture. I like mine a little on the al dente side. 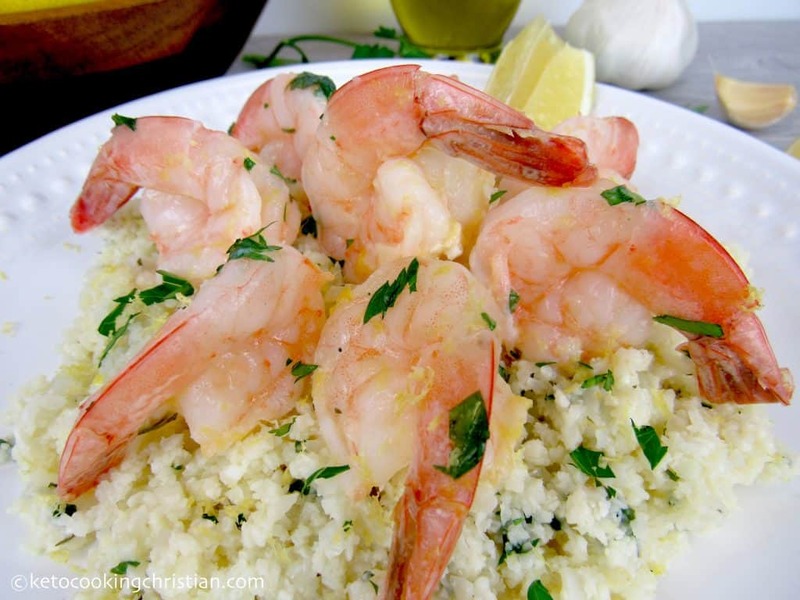 Serve the shrimp over a bed of cauliflower rice, with a squeeze of lemon and a garnish of fresh parsley.